You can easily download our new patient forms from our website and complete them at your leisure before your first appointment. The paperwork provides us with general information about yourself and your condition. You will also want to bring a copy of any and all insurance cards if we will be billing insurance for you. You can easily find out what your chiropractic benefits are by calling the customer service number on the back of your insurance card. Chiropractic Unlimited care involves spinal adjustive techniques, soft tissue treatment, massage therapy, dietary and nutritional counseling, exercise and fitness counseling and many other safe and natural methods to improve health and prolong a vibrant and productive life. We can show you how to get the most out of your body so that you can get the most out of life! Your specific condition MAY require us to take x-rays to either rule out more serious conditions or assist us in developing the most effective treatment plan for you. It is not a mandatory requirement for our patients. 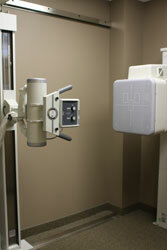 With the use of today's technologies in digital we can have your x-rays immediately available to the doctor to go over with you. Once finished with the examination and all appropriate studies, patients will generally be provided with their first treatment during this same visit. 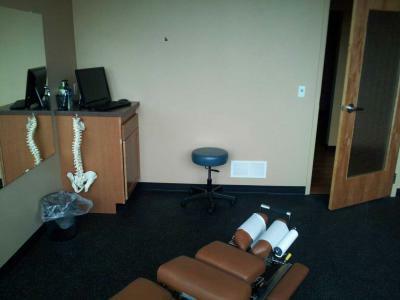 This may include spinal adjustments, and/or soft tissue therapies. Prior to leaving, patients will be given instructions on certain activities or procedures to be conducted at home. This may include ice or heat application instructions, avoidance of certain activities or positions, as well as home exercises and / or stretches. If needed, you can schedule your next visit with our front desk.